The rest of the world has imprived while Brazil relied on her past glory. Tactically, they were pathetic, made no sense and were rightly battered, albeit long overdue. Maicon for Dani Alves? No additional centreback to compensate for Marcelo and David Luiz? No genuine shape to the midfield? Persistence with an absolute waste of space up top? Scolari was guilty of much more, hopefully his legend has been soiled, sullied, stained irreparably. The fans need to boo him and the camera need focus on his reaction. For only so long can man hide his hurt, he's broken and the fan's deserve the spectacle. Well then it's fitting because brazil is on of the most racist nations on earth. And what i have stated has been true since the eras of zico, socrates, careca, they never won. Yes, clearly this is the issue. Because Jo did so damn well, right? Maxwell, Maicon and Dante have all put in some pretty dire performances. Fighting racism by being a racist is even worst than a racist. What have you learnt from the like of Mandela? What a retarded thread. 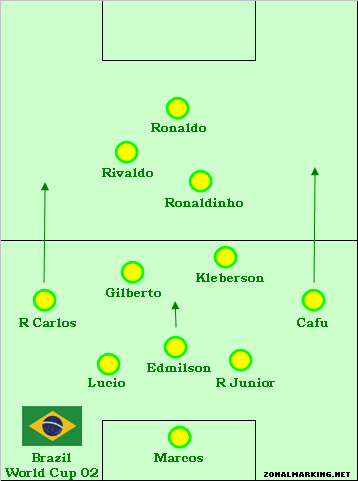 If my memory serves me correctly, nearly half of Brazil's 2002 WC winning side was white. Brazil's problem is not lack of blacks; it's lack of talent. If you guys know the history of Brazil and their football you wouldn't be making these statements, this is not the first time Brazil has attemted t whiten the team and if you guys notice this Brazil team is missing Joga Bonito. The reason why this team is missing Joga Bonito is that several years ago Brazil decided to develop a pay academy system like in the US where players pay to go get developed, obviously this system requires players with money and ultimately all these academy systems pioneered by Zico and other former players were located in affluent neighborhoods, affluence in Brazil is correlated to being white. Then the Brazil youth national teams started focusing their recruiting efforts on these academies as their players were being hyped by the academy directors and they neglected the unstructured favella player base where jogo bonito and samba players reside. As a result we are now seeing more players from more affluent backgrounds (read white) infiltrating the system and this all started around the time when Europe started paying European transfer fees directly to Brazilian clubs bringing millions of dollars into the trade and making Brazilian players millionaires overnight. And off course this lucrative business had to be taken away from the favellas and that means leaving the jogo bonito players behind as players developed in academies from very young ages tend to be more like European players as you can see in the current Brazzilian team, white players from affluent backgrounds with no jogo bonito in them, when did Brazil start having players with names like Maxwell, Bernard, David, Hernanes, Oscar and Danny? My unscientific theory is that if your name does not end in O then you cannot be a jogO bonitO players. 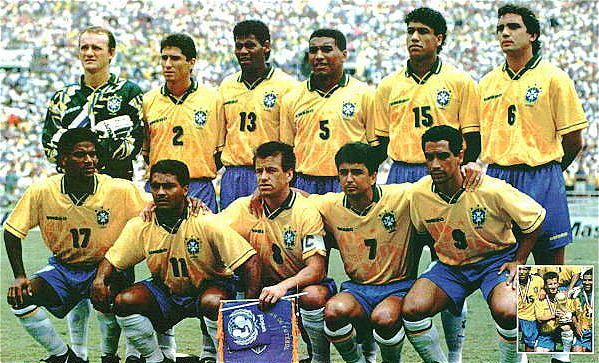 Bro memory served you wrongly, this is Brazil's Squad in 2002 do you see any Maxwell's or Bernard's on this team, these are Favella names bro, Favella names. Last edited by African Star on Sun Jul 13, 2014 4:28 pm, edited 3 times in total. 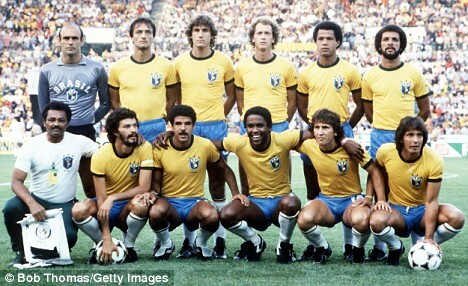 Brazil 1970 winning Squad only Tostao and Felix were white in the starting lineup, the rest were black or mulatto. I know you're pulling legs. But this is a silly exercise. All those Brazilians teams look by and large the same for me. Talent is talent. Nobody has a monopoly on it. I'll give that Brazil has long featured excellent Black footballers. But the explanatory factors behind such success isn't their race, but rather everything we discuss on CE: opportunity, program management, facilities, sports science, coaching, and sheer luck in producing special players. Brazil always had a large population pool. Maybe under modernization less kids per 1000 play football, regardless of color? Maybe Brazil hasn't kept up in the evolution of the game? I've seen all-Black Nigeria crash at WCs. I've seen all-white Croatia crash at WCs. Clearly nobody has a monopoly on making fools of themselves! Stay tuned for the emergence of the US. You'll see a diverse team...and how the aforementioned explanatory factors produce a team greater than the sum of the parts. Ironically, I think the US will emerge to provide another consistent tier 1 Americas team...leveraging all our people. In my 5 years on this forum this is EASILY one of the dumbest threads I have had the displeasure of coming across.